The City was once a benchmark in the C-segment for its sophisticated design and features, but Honda’s applecart was disrupted with the launch of the Maruti Suzuki Ciaz, as its long feature list paired with company’s brand trust made it a more appealing product. Additionally, Hyundai is also gearing up to launch the new-generation Verna which is another strong rival of the City. To make sure the sedan remains in the game, Honda has given the City a midlife update and made it more kitted. 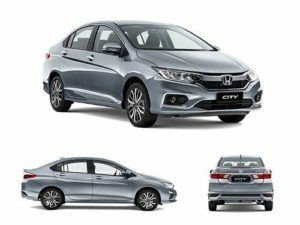 So what’s new in the Honda City facelift? We tell you in our first drive review. The updated City is mechanically identical to the outgoing version, so you still get the same 1.5-litre petrol (119PS/145Nm) and diesel (100PS/200Nm) engines. The petrol gets a five-speed manual gearbox as standard, with the option of a CVT automatic with paddle-shifters, while the diesel only gets a six-speed manual gearbox.The diesel engine was infamous for its high noise, vibration and harshness (NVH) levels. Honda claims the problem has been worked on in the facelift, but it’s still not up to the mark. Whatever improvement has been made is marginal and the engine still lacks the kind of refinement levels you’d expected at this price Vibrations can still be felt through the steering and pedals and engine does take away from the car’s otherwise premium feel. The verdict comes as a no surprise that Honda City knows the game very well and seats very high at a very strong position. Petrol heads vouch for the i-VTEC as the most performance friendly unit available.The heat of lack of a diesel motor is there and Honda has been facing it from a very long time as that is the only drawback of the City. As a make gap arrangement, Honda has started offering the City in CNG option but has not hinted on any diesel engine option for the City.Honda Brio Amaze would be the first Honda sedan to get the diesel engine in India and it would be interesting to see if the Brio Amaze diesel sedan affects the sales of the City even in the slightest way possible.